There is a huge misunderstanding that we have to lack fresh vegetables from the garden or tray from the balcony during winter. Naturally, we have to grow most of high-nutrient tubers and root-crops in general growing period, nonetheless, vegetables that can be produced in wintertime may be used as complement food, one that supplements our vitamin needs. Carrot, potato, beetroot and others stored in sand throughout winter lose a lot of their nutritional essence week by week. That is one of the important reasons to grow winter vegetables: their quantity of vitamin is unaltered. Wild varieties of winter vegetables are almost exclusively so-called one or two-year-old plants that sprout due to autumn rainfalls, bear leaves, and in springtime are able to bring flowers. There are perennials among them, e.g. 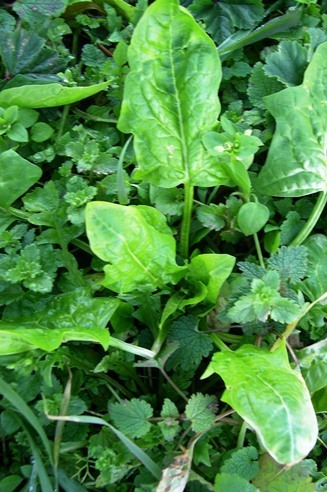 sorrel, the leaves of which endure even in cold temperature and can be consumed. 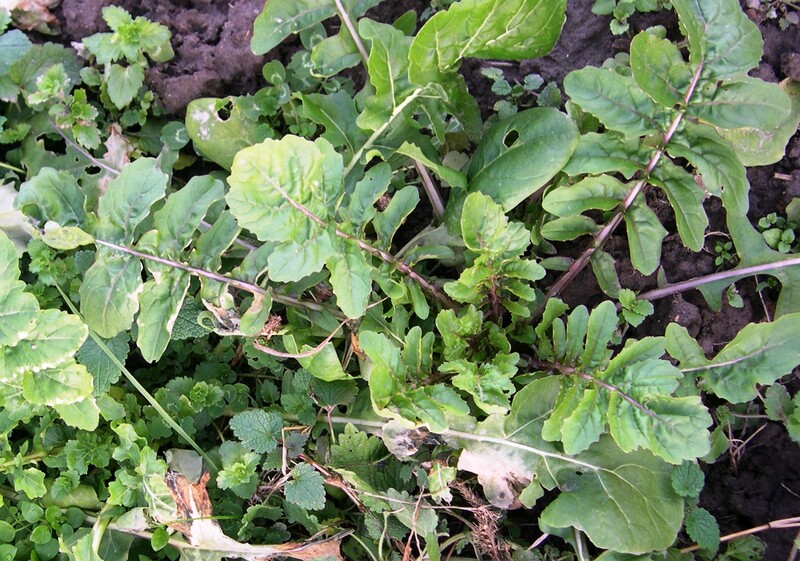 Arugula is a wonderful winter plant. Pick leaves that are smaller, closer to the stem. In the past few years arugula, Swiss chard, parsley and carrot have proved to be outstandingly great vegetables during wintertime in our garden. Last year not by deliberately planting seeds, but incidentally dropping them in the process of seed collection, we grew spinach, coriander and dill. Spinach is a well-known winter vegetable, but having coriander and dill in wintertime was a surprising experience even for us. 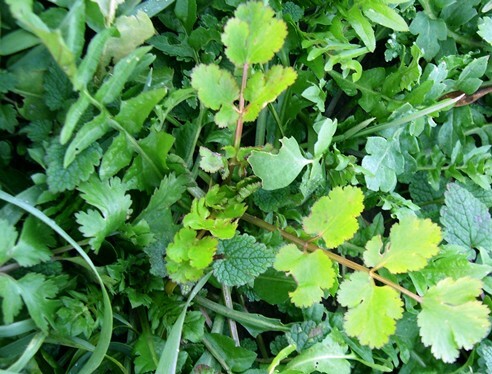 Most people use the seed of coriander as a spice; however, its leaves are also very tasty. If we do not want to depend on mere coincidence, then it is worth to plant vegetables meant for winter months from the beginning of end of summer, naturally, taking into account the species. At autumn time, especially at the end of autumn precipitation is not a problem at all. It is enough if we water fresh plantation once only. If we calculated the size of our bed well for all winter vegetables, then we can pick vegetables throughout wintertime even from underneath the snow. Spinach is one of the most well-known winter vegetables that may be available throughout the whole winter. We may grow parsley that we bought in the market or dug up from the garden. If we put the healthy, unhurt root into a pot and then put it onto a windowsill, then we will undoubtedly be able to pick its leaves that are rich in vitamin C until springtime. 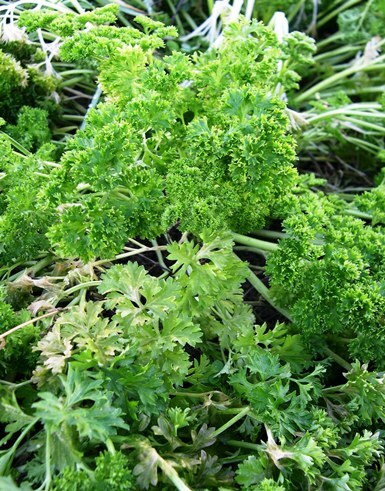 Leaves of curled parsley are not only tasty, but can be a winter decoration in the window or in the garden. Another opportunity is to germinate seeds for eating purposes. When we buy seeds for this, then we should get them from organic gardening, ready for germination. (Note! Seeds for sowing might be coated with pesticides.) The germination trays generally available in shops have proved quite efficient in our home. So far, alfalfa, radish and cress have been the most favourite ones in the family. Eating them as side dish for breakfast with bread and butter, we may feel their energizing-vitalizing effect all day long. Source: Árpád Hadnagy – Sándor Tuza: Téli zöldségek. (Winter vegetables), Mezőgazda Kiadó, 2001. Broccoli Seeding from May, planting from July From October until January Calabrese It resists larger frosts as well. Black salsify March From October throughout winter Preparation: after peeling, stew it on butter just like asparagus. It is not served as a main dish, but it is a marvellous delicacy. Coriander From September From October until December Use its leaves, it gives fabulous taste to some sauces. Swiss-chard From August From October throughout winter If the leaf blade gets frost, we can still use the leaf stem. It can be prepared as a sauce or similarly like asparagus. Parsnip March, April From October throughout winter We left some of the parsnip in the garden at the time of autumn harvesting. Carrot From April to July From October to December We left some of the carrot in the garden at the time of autumn harvesting.